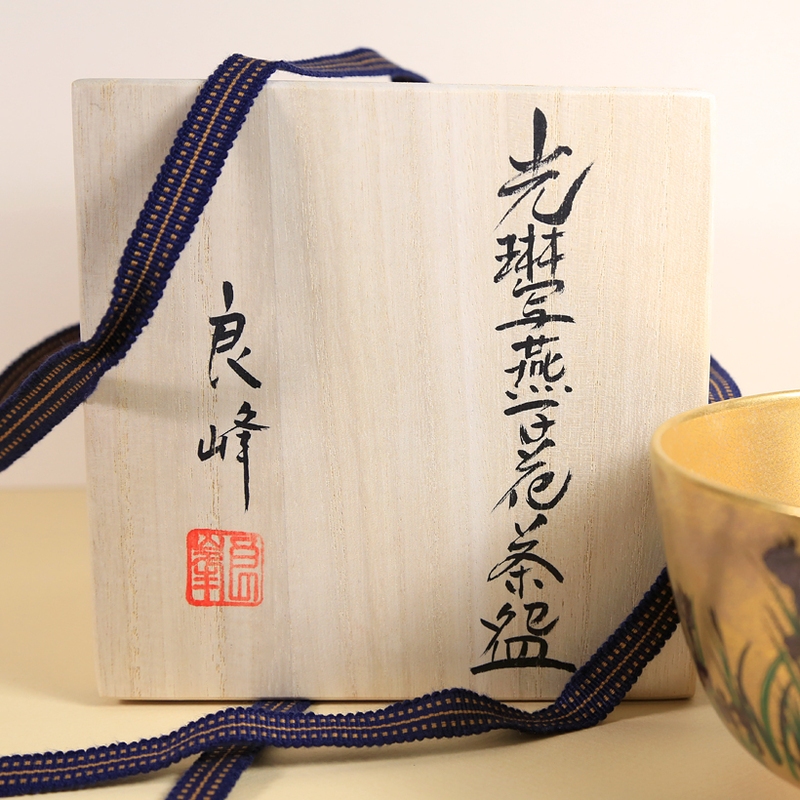 Cool, serene and elegant – this tea bowl has style and personality and would be perfect for a joyous spring tea gathering. 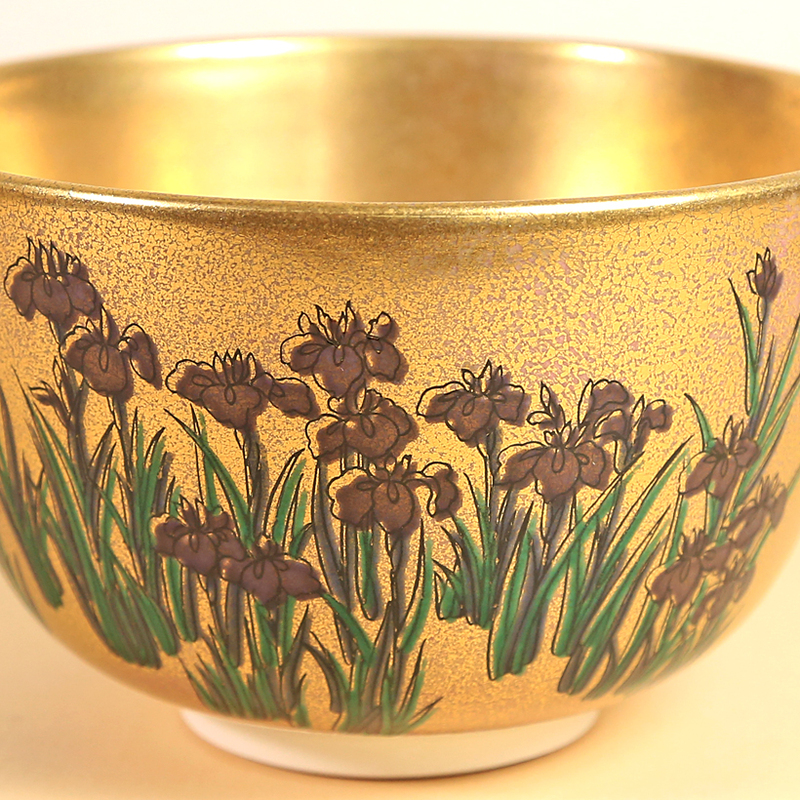 The bowl prominently features both front and back a display of Japanese iris (Iris laevigata or rabbit-ear iris ) inspired by the works of Ogata Kōrin (尾形光琳?, 1658 – June 2, 1716). 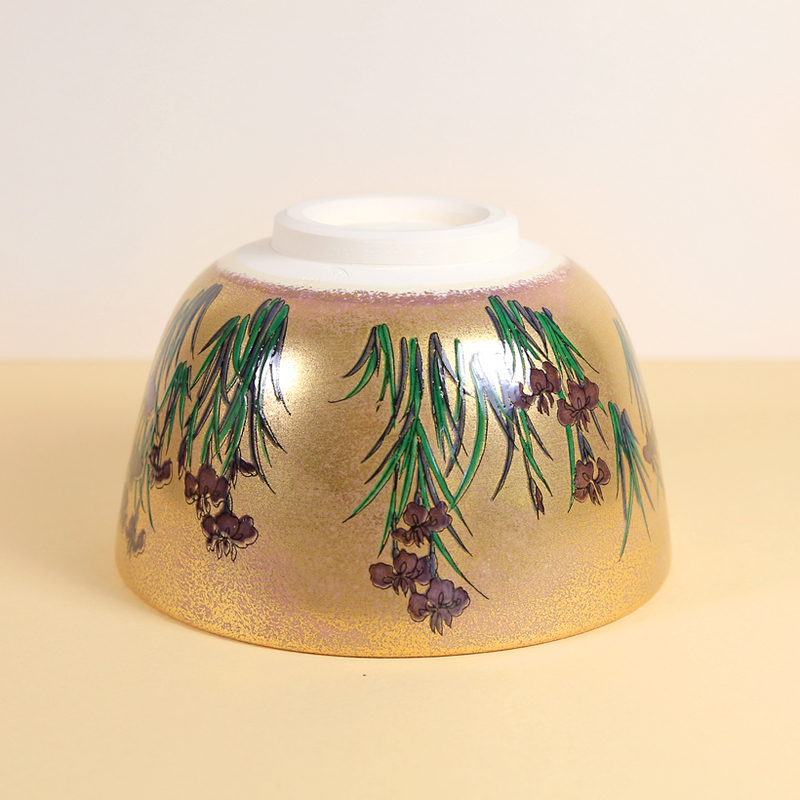 Ogata, a member of the Rinpa School style of painting, often depicted groupings of blue-purple iris in a natural setting on decorative folding screens. His screens are classified as National Treasures in Japan. 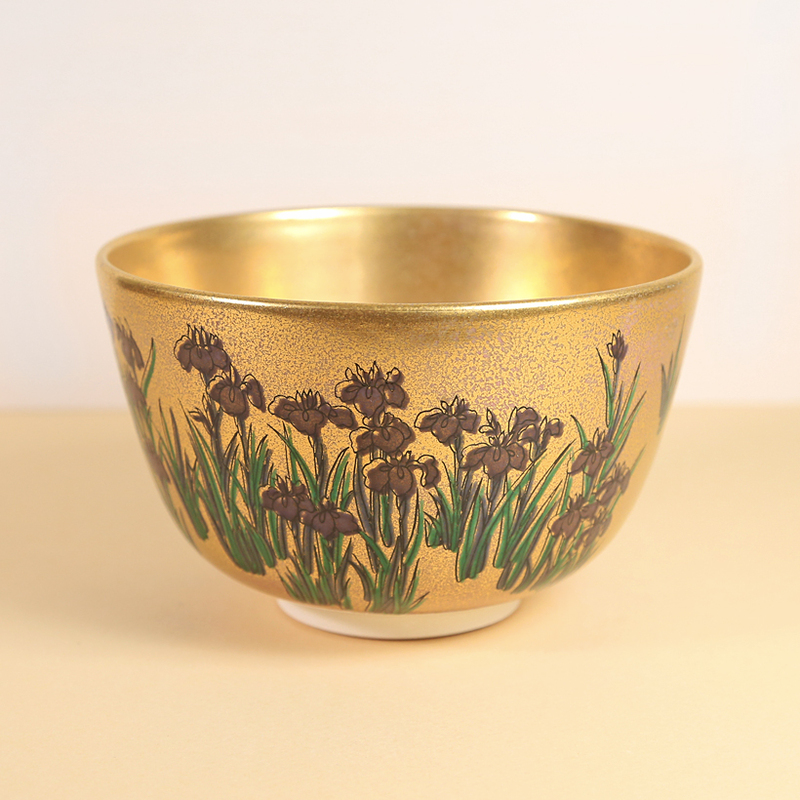 This rendering of iris is simple and peaceful – the gold background is faithful to the gold backgrounds that Ogata Kōrin painted on his screens. Kyoho has given texture and definition to his gold background that further emulates the textured gold backgrounds of Ogata’s screens. A stunning rendition of a famous work in another medium.